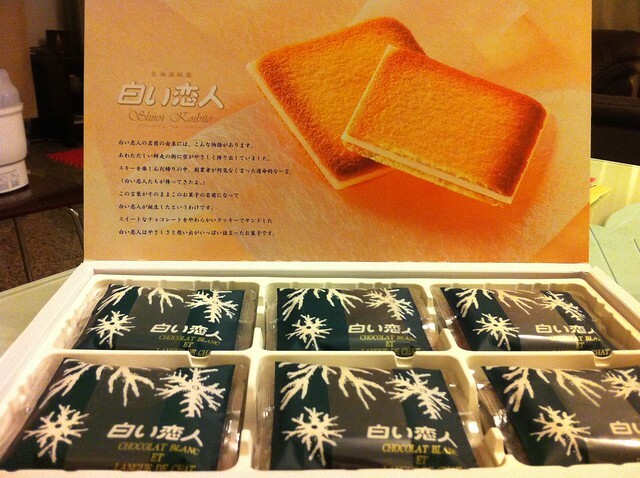 Shiroi Kobito, which translates to White Lover, is a popular white chocolate cookie snack from Hokkaido, Japan. I was totally clueless about this popular Japanese cookie until recently when a family friend presented me with a box of the Original Shiroi Koibito cookies. I have to emphasize the word "original" here as with all things popular, it is inevitable that numerous imitation versions tries to gain a portion of the market share. The cookie is assembled like a sandwich with a thick slab of white chocolate in between two pieces of squarish butter cookies. The cookies have a crispy, melt-in-your-mouth texture while the white chocolate tastes fairly ordinary. Overall, this snack tastes decent to me but surely not addictive as what I have read in some online forum reviews. So to sum it in layman's term, it is a nice souvenir to buy back but definitely not worth the effort to queue up for. Random Pics of Food ate in Seoul!